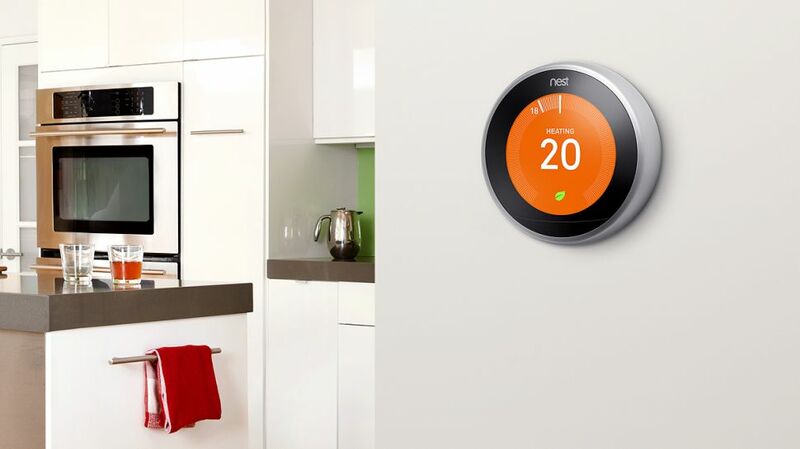 Nest Learning Thermostats already do a pretty good job of regulating the heating and cooling systems in most people's home. A new update to the Nest app for Android and iOS out today further enhances the device's efficiency by relying on your smartphone to determine if you're home or not. The new capabilities, dubbed Home / Away Assist, is essentially a geo-fence on steroids. Traditional geo-fencing sets up a virtual perimeter around a certain location and when a device enters or leaves the area, an activity / notification / whatever is triggered. Things like low / dead batteries, lost or stolen handsets and the fact everyone in the home may not have a smartphone can hamper its effectiveness. Now, Nest utilizes three ways to determine if you're home – by monitoring activity sensors in Nest devices, leaning on algorithms to learn your family's schedule and now, geo-fencing. Nest is also introducing Family Accounts that let up to 10 people access the Nest products in your home. The idea here is to eliminate the need for sharing login credentials as each user can now have their own Nest account. With it, they'll be able to control the Nest Thermostat, receive notifications from Nest Protect, check in on a Nest Cam and receive their own monthly Nest Home Report. As Family Guy reminds us, granting another family member control over your thermostat can be very empowering. Home / Away Assist and Family Accounts can be accessed by installing the latest Nest app.